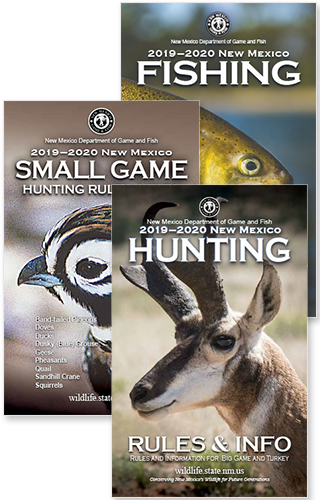 SANTA FE – Sales of “over-the-counter” fishing and hunting licenses for the 2018-19 license year opened today, giving anglers and hunters an opportunity to have licenses in-hand when the new license year begins April 1. The Department of Game and Fish previously began issuing “over-the-counter” licenses March 31. Licenses are available for purchase by telephone, (888) 248-6866, and at department offices and license vendors. Anglers will need a 2018-19 fishing license beginning April 1. The first hunting seasons of 2018 will be for spring turkeys. Those seasons are April 6-8 for youth-only hunts, and April 15-May 10 for everyone.